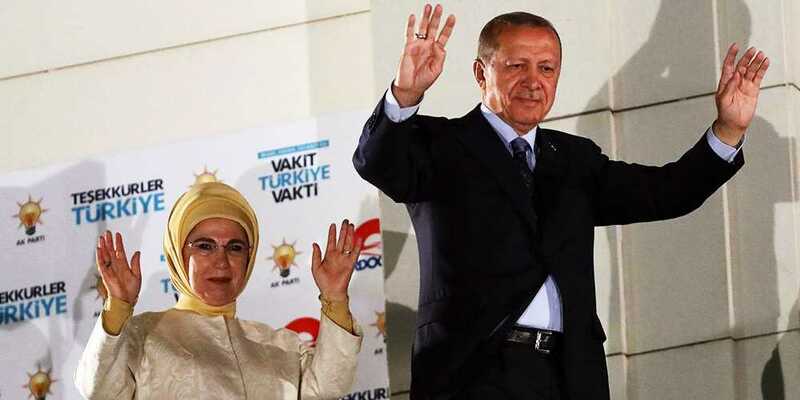 Turkish President Recep Tayyip Erdogan has won a new 5-yer-term in a high-stakes election, which has been the most serious challenge yet to his political dominance. Mr Erdogan secured nearly 53% with almost all votes counted, while his closest rival Muharrem Ince was on 31%. He will now assume sweeping new powers, won in a controversial referendum last year. The post of PM will be abolished. The results were a blow to Ince and his Republican People's Party, known as the CHP, who ran a vigorous campaign that threatened to force Erdogan into a damaging runoff and deny his party control of parliament. Mr Ince accepted the result on the basis of poll figures - but said that everything about the vote was unfair. Final results will be announced on Friday. Mr Erdogan has presided over a strong economy and built up a solid support base by investing in healthcare, education and infrastructure.